A shareholder has filed a lawsuit against NTN? Dynamics of prices of shares on the stock exchanges often reflects the reality of public companies. Especially when the stock is traded on the well-known markets, like New York, Tokyo and London, where quite strict rules prevent reckless speculation. If the shares on such exchanges are growing for a long time, it means that problems at public companies potentially a bit. Conversely if the shares are in a “bear” (falling) Long trend is likely to cause the company go from bad to worse. However, we must remember that the exchange created primarily to sell-buy securities and help out on this as much as possible the delta. Therefore often have rumors passed from one broker to another through “word of mouth” radio, which at times is to create a limited number of investors favorable conditions for the purchase or sale of shares of a particular issuer. These rumors may be based both on good information, and the false. Investors who do not have access to insider information, have to decide for themselves, to believe or not these rumors, to respond to them or not. The entire weight of errors are often full of holes of their own pocket. According to the Exchange for the rumor that spread in early September against the management of the company bearing NTN Corporation (Headquarters Osaka, Japan) was filed by certain Japanese bank owns stakes in this major manufacturer of bearings. Presumably it could be a credit institution, a member of Mitsubishi UFJ Financial Group and Nomura. The reasons for bankers to sue, is unknown, but it may become heavily undervalued stock NTN on the Tokyo Stock Exchange (6472: TYO). Over the last 12 calendar months NTN share price has fallen by almost half. At the same time, the share price of the main competitor – NSK LTD. (6471: TYO), – in spite of the negative state of the Japanese economy and spins a new round of global economic crisis, fell just less than 10%. Such a striking difference in the dynamics of the value of securities, it may have caused the natural resentment of the shareholder. Apparently, not getting a clear answer from the managers of the issuing company, he decided to file a claim for undue suppression drop in shareholder value. The presence of banks as shareholders – a necessary measure for NTN, as banks, shareholders can attract relatively favorable financing, although not very good financial results. Thus, in a large-scale modernization of the French branch of NTN-SNR Roulements and large bearing plants in Japan, this began in the crisis year 2009, using the money from at least one Japanese bank. * The company’s management has repeatedly declared to shareholders of the benefits of priority development in emerging markets. ** NTN Corporation, for example, owns brands such as NTN, SNR, Bower, BCA. NTN Corporation – a major global manufacturer of bearings, with headquarters in Osaka (Japan). Sales in the year 2011 amounted to 543.5 billion yen. 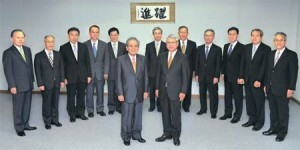 In the 1st quarter of the year 2012 sales of 138.9 billion yen in net loss of 838 million yen. Total liabilities as at 30 June 2012 amounts to 507.2 billion yen. Shares are listed on the Tokyo Stock Exchange (6472: TYO). Among the largest shareholders of the company: The Master Trust Bank of Japan, Ltd; Japan Trustee Services Bank, Ltd; The Bank of Tokyo-Mitsubishi UFJ, Ltd; Mitsubishi UFJ Trust and Banking Corporation.